Read the Introduction and About sections; check out our Resources; read teacher essays or watch teacher videos. Take the One-on-One Orientation Course with a teacher. 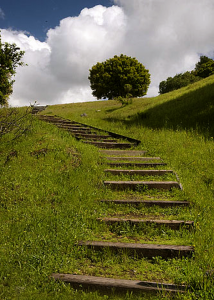 Orientation Course – offered by teachers of the Trillium Awakening Teachers Circle (TATC), this one-on-one course will introduce you to the fundamental principles of this path. Connect with a teacher and mentor. Personalized, one-on-one support lies at the heart of our work, and is a major factor why so many awaken on this path. Build your awakening support team by selecting a Trillium Awakening certified teacher and mentor. Meeting with them regularly by phone, Skype, or in person will greatly accelerate your awakening. Attend an event in our community of teachers, mentors, and practitioners to experience the transformative power of this work. Sittings – These local gatherings, led by teachers and assisted by mentors, help quicken your awakening process. Workshops – These one- and two-day events, led by teachers and assisted by mentors, explore various aspects of your embodied awakening journey. 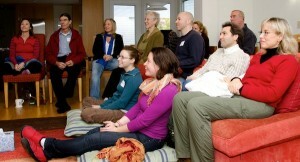 Retreats – Intensive retreats, staffed by teachers and mentors, are offered throughout the year in the US, Europe, and Australia. Local Mutuality Groups – Peer practitioners engage together to explore and deepen their embodied awakening. Virtual Sittings and Mutuality Groups – Sittings and groups are offered via phone and online video so that people in various locations can practice together. Take the IAM Online Foundation Course course. Online Foundation Course – a 10-lesson home-study course offered by the Institute of Awakened Mutuality (IAM). It includes written material and video, as well as a 30-minute teacher session to address your specific questions. Sign up for our mailing list to receive news and notices of upcoming events.